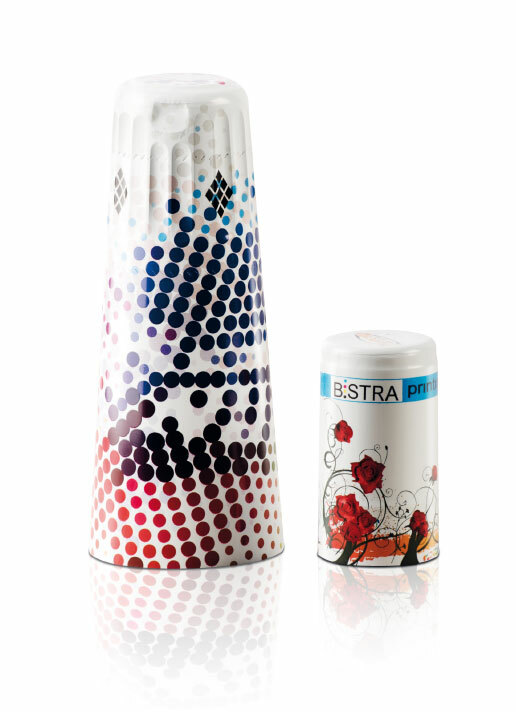 Bistra printing is the new printing system which overtakes the limits of rotogravure printing, allowing to customize your closures without limits. Opportunity to print any colour (four-colour printing). Opportunity to print images other than logo. The quality of printed images and logos is higher: text has a better readability and a wider range of colors. Without using the rotogravure printing the entire production process becomes more versatile, and every design variation can be performed during the printing phase. The entire process of design and production of the capsule is way more efficient and fast and let it possible to order small quantity of closures. Wide range of Pantone colours.